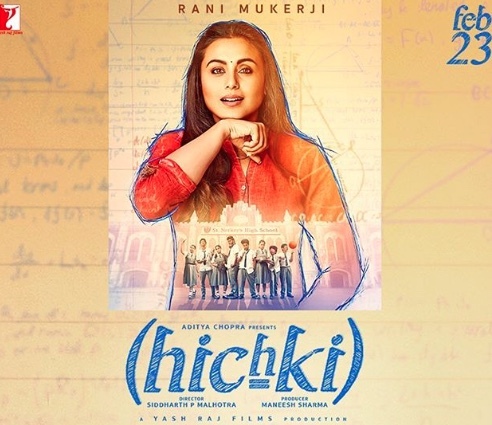 Yash Raj Films has announced that they have decided to postpone the release of Hichki, starring Rani Mukerji, to 23 March, 2018. Insiders reveal that private screenings of the movie have evoked outstandingly positive reactions and the internal Yash Raj Films team has convinced Aditya Chopra that the family movie that touches hearts should release post exams to get a wider audience. “The multiple screenings of Hichki saw outstanding reactions. The audience in attendance have called it one of the best content driven & heartwarming movies to ever come out of YRF. So naturally, the reaction of the team is that does Hichki currently have the best release date to get an extended run in cinemas across India,” says producer Maneesh Sharma. 15 queries in 0.535 seconds.